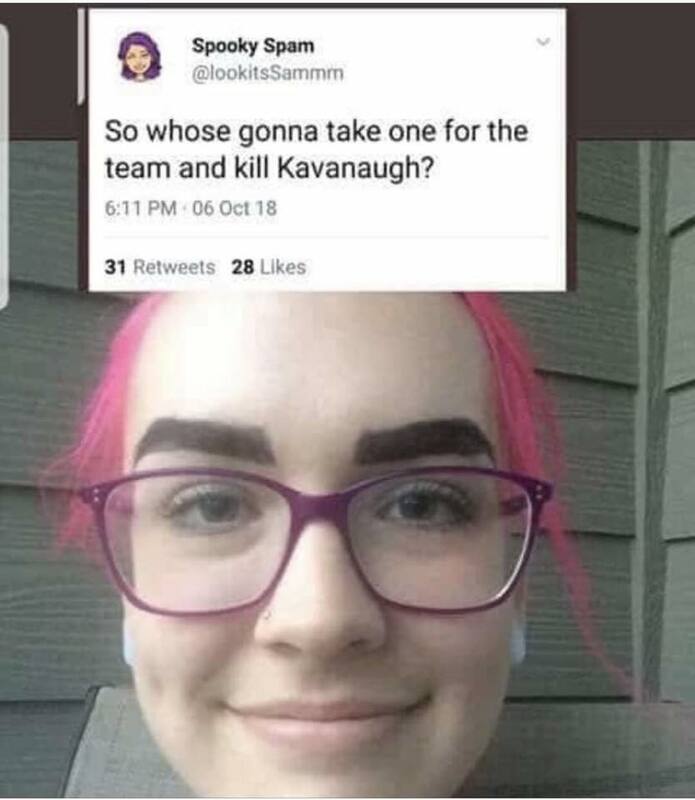 Meet Samantha Ness, a grade school teacher in Minnesota. She works for the Alliance Education Center in Rosemount Minnesota. This was on her Twitter feed on October 6. And remember, this is what is teaching our kids. Oddly enough her Twitter account has been removed. Gee I wonder why. Please contact her school director at 651 423 8100 and tell them how you feel about Ms. Ness teaching our kids. This is what the Kavanaugh family has had to face these past few weeks. Think they had it rough? Wait until either Ginbsurg or Breyer retires. The next nominee had best be one tough cookie, because that confirmation process will be 10x worse than what Judge Kavanaugh went through. This is why we need to get out and vote this coming November. And why we need to get off of our posteriors and make sure that we get good conservatives elected to office, and then hold their feet to the fire so that we can take back our schools from the Samantha Ness’s of the world and those wimpy school board members and the school bureaucracy which enables their bizarre behavior.